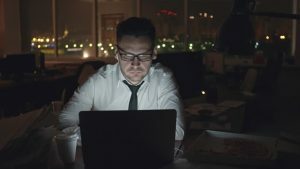 Did you know that the average American spends more than 10 hours a day behind a screen consuming media? In fact, it is estimated that we will increase the hours behind a screen and access additional devices in the future. During this time behind screens we are inundated with digital writing. The influence of digital writing is bound to affect our lives in many ways. Since were all students at Dickinson I would like to focus on the impact that digital media has on our consumption of information. In this essay, I am going to explain how digital writing influences our lives as students for the better. Digital writing enables the addition of multimodal writing which gives allows for more depth in reader understanding, more efficient consumption, and easier access for different learning styles and makes it easier to judge the credibility of information. But first let me explain what digital writing is. Digital writing is essentially the writing practices in a digital space. This can include social media, Buzzfeed articles, and even online journals and scholarly work. It is nearly impossible for us to escape digital writing in today’s society. Since we are engulfed in this media we should get to learn more about the positive ways digital media can help our lives especially in terms of school work. 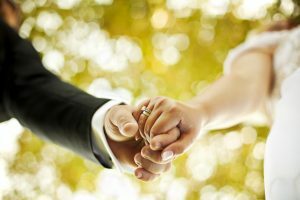 Digital writing is perfect marriage with multimodal content. A multimodal approach is the combination of elements like sound, images, pictures, graphs, and other media. The multimodal approach to writing can make writing more efficient and add additional depth and ways to understand an article. Multimodal writing allows readers to seek more depth in articles. A tool many authors use are hyperlinks, which allows the reader to follow a link that the author selected to provide background information. Hyperlinks allow us as readers to not only understand certain terminology but to be able to see exactly the knowledge the author would like us to have on this topic. These tools can also be used to broaden our connection with the text. Jen Rajchel in “Why and How For Liberal Arts Teaching and Learning” explains how multimodal writing allowed her to view poems in a completely different way by clicking on each hyperlink available in poems. This allowed for visualization of the allusions represented also in textual form. She also mentions how through digital writing citations and footnotes allowed for a path of discussion. Multimodal writing can be very beneficial for our everyday use of gathering information as a student. While it can be a helpful tool we need to have multimedia literacy in order to use multimodal writing effectively. Richard Lanham says, “Multimedia literacy requires that we be very quick on our feet in moving from one kind of knowledge to another.” Lanham also describes how authors need to be able to express themselves in a media that the audience finds easiest to understand. This is important because not only can the authors tailor their media to one style but also students can find articles that use certain media styles also. 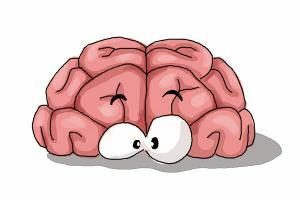 We all have different brains and these styles can help us be more efficient by using our strengths instead of being forced into consuming writing or media only in one way. “We tend to treat print as a determinate of information quality.” (Abilock, 73) These books, journals, newspapers, and other publications have typically gone through an rigorous review process by editors or peer review. Digital writing and multimodal writing are delivered on platforms that enable tools for readers to better evaluate the credibility of the information. When was the last day you spent without your phone? I feel almost naked without my cell phone. As students and young adults, we encounter digital writing nearly every day. Since we are exposed to this form of media it is important to understand digital writing well enough to make the most out of this resource. I believe learning about digital writing helps students out in research, their major, and future endeavors. I am an economics major here at Dickinson College. Generally, for my economics papers an economic issue is presented and I’m asked to explain why an action is going to help or hurt this issue. After reading about what makes good digital writing I believe that many of these same concepts can apply to my writing in economics. Carroll in “On Writing Well”, lists several principles of good digital writing that I believe are important aspects of my essay in economics. Being precise, being aware, and being concise are examples of these principles that fit with our writing style in economics. Being precise is important in economics because if the word doesn’t mean exactly what you intend to then the reader is learning false information. Being aware is a very important aspect of digital writing as issues like plagiarism, stereotyping, oversimplification, generalizing, jumping to conclusions, faulty logic or circular arguments, and the overuse of pronouns and articles can all make an economics article invalid. (Carroll) The last connection between digital writing and economics writing is that both disciplines require producers to be precise and concise. Being concise is an important aspect of the writing we have in economics because we have strict limits to lengths of our papers and anything that isn’t concise takes away from our main arguments. I think the multimodality also helps me as an economics major because much of the economic literature is dense in difficult language. I often look the subject up online and find articles that reference visual or audible aid to help me get a better picture of what is going on. I believe that understanding the landscape of digital writing is a very beneficial towards our everyday lives as students. Digital writing is a major aspect of nearly every college students lives. An advantage of being Millennials is that we grew up with this technology that has allowed for digital writing. Not only are we reading social media but we are also gathering our information for classes online. I think in nearly all of my classes we have had some form of assignment that connects digital writing to the course. An example of this would be in my American Studies – Gender and Race in Sports class in which we are tasked with connecting themes we were learning in class with digital writing and media. When looking at these articles it was clear that the variety of websites are different and target their audience through different methods. It is important when coming across digital writing in a course to have a general idea of the platform this information is on and the audience. For example, having the knowledge that the Onion posts satirical articles allow me to stay away from their content when looking for credible resources. Also, when looking through post on the internet some sources may post information without fact checking in order to have their story come out first or stretch the truth. While there are some issues with the credibility of some digital writing we are able to access much more information than we ever could. You can write an entire research article without leaving the confines of your dorm room. It will be interesting to see the use of digital writing beyond my life at Dickinson. I will be trying to enter the workforce after this school year. Whatever job I plan to get I’m sure digital writing will be very impactful. Currently I have been investigation different career paths online and found articles that have help me understand the job market. My dream job would be to work in a front office for a sports team. In this role, digital writing would be very important to knowing the landscape of the league and news surrounding players. 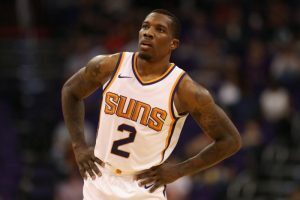 For example, there was a lot of drama last week when Eric Bledsoe a player from the Pheonix Suns tweeted “I don’t wanna be here”. This tweet essentially sent a message to every other team in the league saying that he isn’t happy and would like to be traded. Regardless of what type of job I will get or hopefully get, I will call upon digital writing for tips and strategies to use once at my new position. It will be interesting to see how the growth in technology influences our digital writing. I think that the increase in technology will allow for even more publicity of information. Rajchel, Jen. “Web Writing: Why and How for Liberal Arts Teaching and Learning.” Edited by Jack Dougherty and Tennyson O, Web Writing Why and How for Liberal Arts Teaching and Learning Consider the Audience Comments, University of Michigan Press, 4 Mar. 2015, epress.trincoll.edu/webwriting/chapter/rajchel/. Information Sources: The Case of Wikipedia.” Journal of Information Science, vol. 39, no. 4, n.d., pp. 494-508. EBSCOhost, envoy.dickinson.edu/login?url=http://search.ebscohost.com/login.aspx?direct=true&db=edswsc&AN=000321979300006&site=eds-live&scope=site. This entry was posted in 2017, 2017 Digital Writing Essay. Bookmark the permalink.